Dreamcoat FlooringBlogWhy Choose Epoxy Flooring for Your Phoenix Home or Business? Why Choose Epoxy Flooring for Your Phoenix Home or Business? You may not be familiar with epoxy flooring, but if you live or do business in the Phoenix area, you may have seen our work without realizing it. Epoxy flooring is an extremely durable, long-lasting floor that resists deterioration and can withstand both residential use and the rigors of an industrial/commercial environment while still looking great. 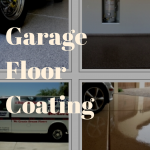 Garage – we use the highest commercial grade epoxy, so your floor will last for years even with constant heavy use. 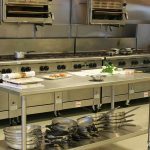 Kitchen – with a surface that resists scuffs and scratches, epoxy flooring in your kitchen is ideal – and it cleans easily, too. 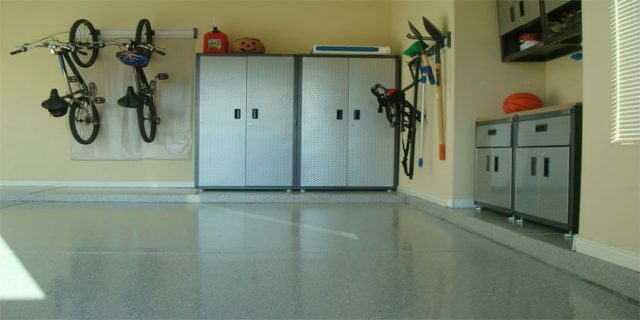 Basement – whether your basement is for relaxation, playtime, or for a handyman’s projects, an epoxy floor is a clean, flawless-looking alternative to an unfinished floor or carpeting, which can get dirty easily and can be difficult and costly to clean. Interior design complement – for homes with a clean, open, airy or a contemporary industrial look, epoxy floors offer elegance and shine with a worry-free, low maintenance finish. 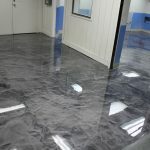 In addition, there are a number of epoxy floor concrete color and pattern choices so you can create the look or tone you like best for your space. To find out how epoxy flooring can benefit your home or business, contact us for a free consultation and estimate.